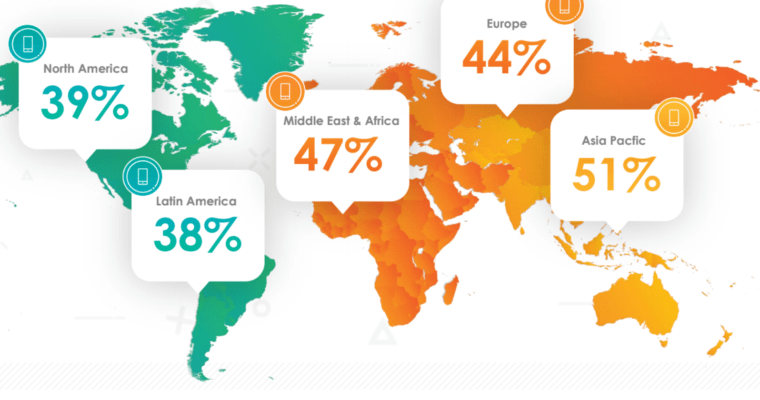 Mobile transactions now represent more than 50 percent of online transactions in many countries, according to Criteo’s Global Commerce Review for Q2 of 2018. The report analyzes shoppers’ activities, behaviors, and preferences across all devices and browsing environments, using data from over 5,000 retailers, in more than 80 countries. Data from this report can be used to gain insight into and delineate opportunities and trends within the mobile web and mobile apps. Apps are a significant driver of online sales, the report finds, with a 30 percent year-over-year increase in the share of in-app transactions. Customers are more likely to convert when shopping on a retailer’s dedicated app versus a mobile website. 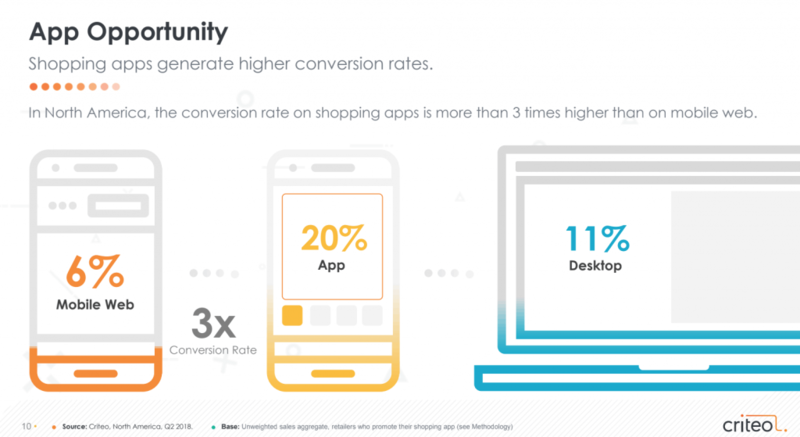 In North America alone, the conversion rate of shopping apps is more than three times higher than the mobile web. Among online-only retailers who promote their app, 31 percent of transactions come from the in-app purchase channel. That number more than doubles when looking at omnichannel retailers who actively promote their app, with mobile purchases representing 65% of their transactions. In making a case for offline sales, the report finds retailers that combine their offline and online data can apply over four times as much sales data to optimize their marketing efforts. Mobile shopping is showing no signs of slowing down across all countries included in the study. Currently, Northern Europe and Japan are leaders in mobile shopping. That means there’s plenty of opportunities for US retailers to grow their share of mobile transactions in the coming years. Download the full report here, or if your ready to make it happen for you, send us a message below!